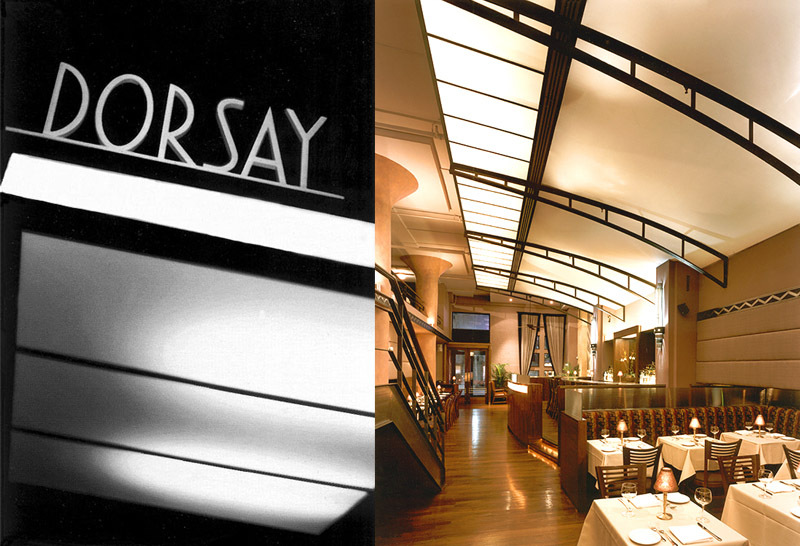 DORSAY, is a newly opened two story restaurant located at 320 West 46th Street in New York City. It’s design recalls the structures of early twentieth century train stations like Gare Dorsay in Paris, or Milano Centrale, as well as the romance associated with train travel in that period. 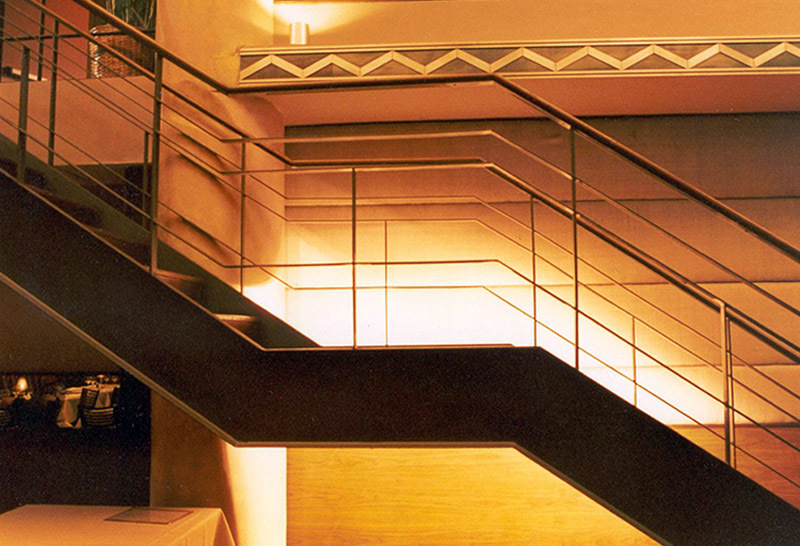 The streamlined design is meant to evoke 1930s art moderne compositions and also the art deco buildings that reside in the surrounding theater district. 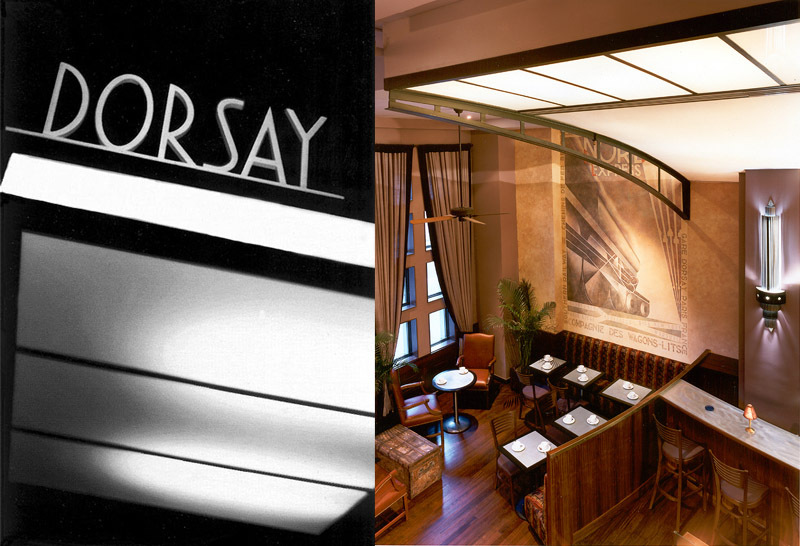 Dorsay’s luminous ceiling recalls the sky lit train shed and its trusses evokes the graceful steel work that supported their glass canopies. The end result is a design that views that past through a modernist lens, where luminance, clarity of line and sensual curves set the tone. The space maintains warmth through the use of lush materials, subdued colors and the controlled use of decorative elements.